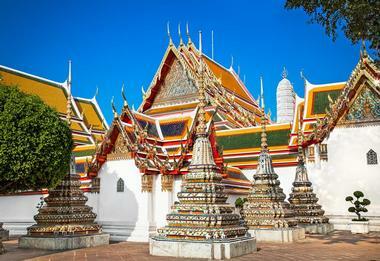 As the buzzing capital of Thailand, Bangkok is one of the most diverse places a traveler can visit. Even the most finicky of visitors will be delighted by the variety of foods, attractions, hotels, and surroundings. 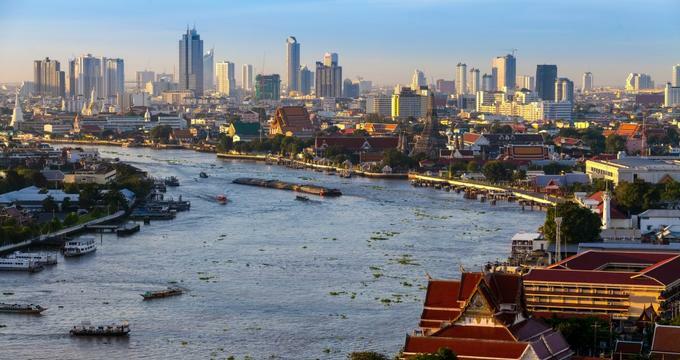 Bangkok is an ideal destination for any type of traveler, whether they’re vacationing alone, in a group, or with children, as the trip can be catered according to their needs. Unique attractions, such as the Queen Saovabha Snake Farm, the night market, or the Temple of the Reclining Buddha make Bangkok one of the most memorable destinations in Southeast Asia. Wat Phra Chetuphon, also known as Wat Pho or the Temple of the Reclining Buddha, is a famous temple complex located in the Phra Nakhon District in Rattanakosin Island next to the Emerald Buddha Temple in Bangkok. The temple was named after the posture of the statue, sihasaiyas, which is known in Buddhism to represent entry into Nirvana and the end of reincarnation. The reclining Buddha statue was built by Rama III in around 1832, and at 46 meters long and 15 meters high, it is one of the largest Buddha statues that tourists can visit. Specializing in customized tours for small groups, Tour with Tong shows you a side of Bangkok that visitors won’t see with anyone else. The company was started, and is still managed, by Mrs. Tong, a 41-year-old woman who has explored every bit of Thailand. Licensed multilingual guides follow her footsteps in taking visitors on a friendly, educational journey through Bangkok and its surroundings. The tours captivate visitors with their unique perspectives and historical facts, making each visitor’s experience a memorable one. 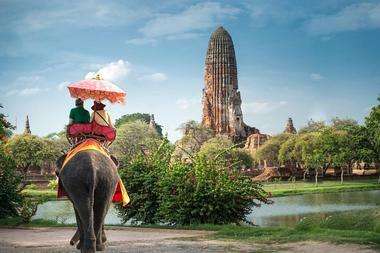 Some famous destinations include floating markets, the Ayutthaya Kingdom, Kanchanaburi, Samut Prakan, and Pattaya. 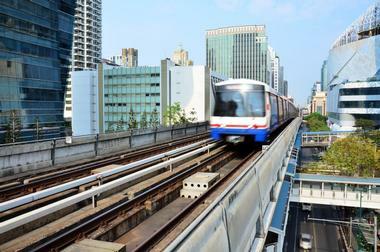 The Bangkok Mass Transit System, also known as the Sky Train or Rot Fai Fa in Thai, is the fastest elevated transport system in the city. Allowing visitors to travel away from the traffic and bustle below, the BTS Sky Train is one of the most comfortable public transportation methods and definitely offers some of the best views. Since 1999, visitors have been able to travel on two lines that stop at 34 stations, covering all parts of Bangkok and making travel in the city both easy and convenient. One of the safest and most dependable modes of transport in Bangkok, visitors will find traveling to and from destinations a breeze. 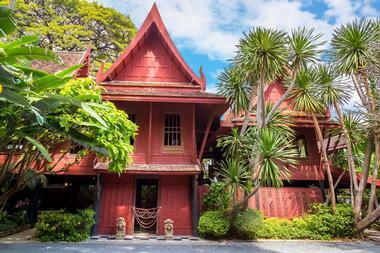 Comprising various old Thai structures, the Jim Thompson House is one of the most popular tourist attractions in Thailand. Visitors can visit the many structures, pieces of art, antiques, and sculptures that this American businessman collected during the 1950s and 1960s. Jim Thompson was particularly partial to Southeast Asian art, which features a lot in this eclectic collection. There is also Buddhist and secular art from Burma, Laos, and Cambodia as well as Thailand. The house itself is a work of art, as it was created from the remnants of six antique Thai houses, and now welcomes visitors to view the pieces he’s collected over the years. 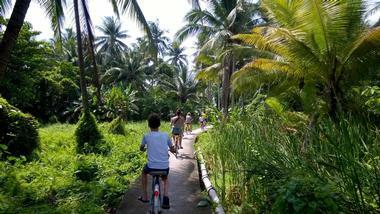 A bicycle tour company in the heart of Bangkok, the Co Van Kessel Bangkok Tours company has been offering amazing and unique tours for over 30 years. Started by Co Van Kessel, a Dutch man who lived much of his life in Thailand, the tours take visitors on a journey through parts of Thailand that are impossible to view from any other mode of transport. Combining bicycles, boats, and walking, the tours allow visitors to pass through the narrow paths, alleyways, foot paths, and canals. Some of the tours offered are Co by Night, Co Canaling, and Co Rocket Boating. Bangkok cuisine is so varied that it’s guaranteed that even visitors with the most particular of palates will find something to love. What better way to experience the culinary concoctions of this exotic land than with a food-filled tour led by Bangkok Food Tours? 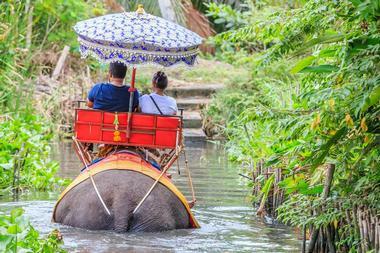 While popular tours include the Offbeat Floating Markets Tour, with specialties such as roasted banana, or the Best Eats Midnight Tuk Tuk Tour that concludes at a secret bar with a chilled Thai beer, there are also many unique tours to choose from. For example, the Bizarre Food Challenge Tour gives visitors the opportunity to try unique dishes such as blood soup or pig’s brain balls. Whether you are an adventurous or an average diner, Bangkok Food Tours has you covered. One of the most famous landmarks in all of Thailand, the Grand Palace dates back to 1782 and is considered the spiritual heart of the Thai kingdom. The building itself has long fascinated architects, and the beautiful patterns resemble the style of the Ayutthaya era. The Grand Palace houses Wat Phra Kaew, or the Temple of the Emerald Buddha, which is one of the most sacred places of worship in Thailand. Visitors can explore the temple and the rest of the palace where Thai kings once resided, but it is now a place of state business. The exquisite details of the throne halls, the antiques on display, and the general style of the building and its interior will amaze visitors. 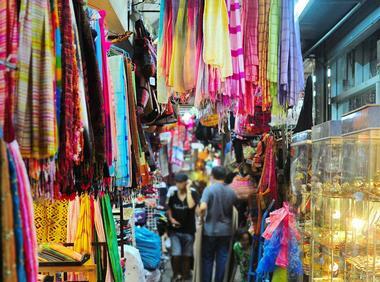 Popularly known as JJ Market, the Chatuchak Weekend Market has been providing goods and services since 1942. Famous among wholesalers and traders back then, it has since became a place of interest, attracting an increasing number of visitors over the years. The 35-acre area hosts over 8,000 vendors and over 200,000 visitors can be found there on any given weekend. Visitors will love the feel of the place as it allows them to interact with locals, try some amazing local cuisine, and find a range of products from clothes and accessories to ceramics and home decor. 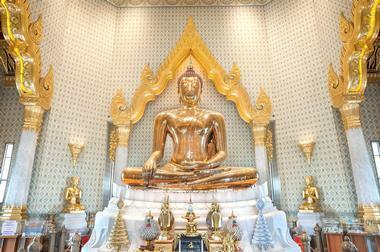 Officially titled Phra Phuttha Maha Suwan Patimakon, the Temple of the Golden Buddha is also known locally as Wat Traimit. Visitors come across many religious sites dedicated to Buddhism in Bangkok, but Wat Traimit may be one of the most beautiful. The temple houses one of the largest Buddha statues, constructed completely of gold, measuring 5 meters high and weighing over 5 tons. Visitors will love the story behind this amazing Buddha statue - it was originally covered in stucco and plaster and it wasn’t until it was accidentally dropped that they realized the true nature of the solid structure lying beneath it. Pak Khlong Talat is Bangkok’s primary flower market and is open 24 hours a day, though visitors will enjoy visiting it in the early morning as that is when it has the most vendors. 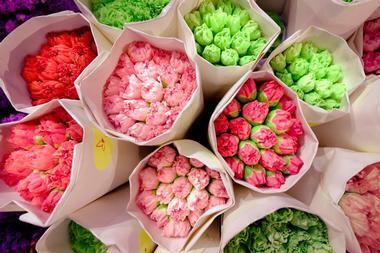 Considered a place of symbolic value to the residents of Bangkok, the site of the flower market has a long history. 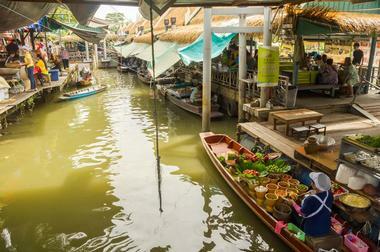 It started in the 1700s as a floating market and then became a prominent fish market before it grew famous for flowers. Visitors will love exploring the exciting environment filled with the sounds of vendors from all over Thailand, the aroma of the flowers, and the bright colors of the bouquets. 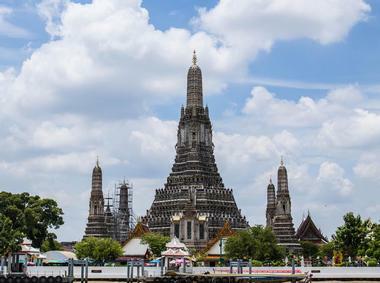 Towering over the west banks of the Chao Phraya River is the Temple of Dawn, locally known as Wat Arun. This majestic spiral tower structure has one of the most beguiling temple designs found in Thailand. The tower is over 260 feet high and has three floors, each representing either heaven, earth, or hell. Many of the walls of the temple are engraved with script and detailed murals. Surrounded by the river bank, visitors will find that the temple has a sense of peace and calm, especially at sunset when the river bank and the tower light up as the sun reflects the colorful glass pieces and Chinese porcelain. The largest underground aquarium in Southeast Asia, Siam Ocean World is located underneath the Siam Paragon shopping mall in Thailand. Visitors will love exploring its 10,000 square meters and the displays of over 30,000 species that were gathered from the depths of the ocean in various aquatic regions. There is a 270-degree underground tunnel that is usually a favorite with younger visitors. The other exhibits and activities include the Weird and the Wonderful Zone, the Rocky Shore Zone, which houses penguins and other marine mammals, the rainforest, the shark feeding sessions, and the underwater dives with stingrays. 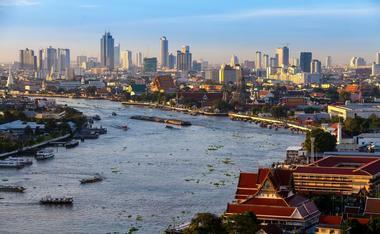 Flowing from the central plains of Bangkok to the Gulf of Thailand, Chao Phraya was named by King Rama I as ‘the river of kings’ in 1782. He built some of the most amazing temples along the river bank, which can now be seen among several 19th-century European-style buildings, beautiful churches, shops, restaurants, and houses with structures that resound with the design of previous eras. The river is also home to a bustling flower and fruit market as well as a few floating restaurants where visitors can try some delicious noodle soup as they enjoy the view. Created on royal property in 1920 by King Rama VI, Lumpini Park used to be a museum displaying flowers and greenery. It was rebuilt after World War I as the first theme park in Thailand. The 142-acre park was named after the birthplace of Lord Buddha in Nepal. Visitors can spend the day at the park with their family, taking in the greenery, enjoying the calm of the artificial river, or exploring the surrounding jungle. On-site activities include walking, jogging, aerobics, cycling, rowing, and paddle boating. Visitors will also find a food court, basketball court, library, dance hall, and an auditorium that regularly schedules orchestras and bands. 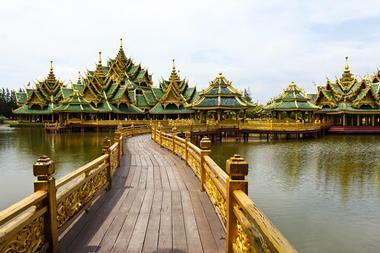 Muang Boran, which means ancient city in Thai and is commonly referred to as Ancient Siam, is a 240-acre outdoor museum park. 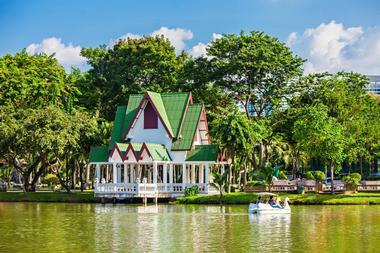 Though it was initially meant to be a golf course, the land was soon dedicated to housing and preserving miniatures of Thailand’s many historically significant structures. The recreation of over 116 replicas and historic cultural buildings, architectural findings, and temples was conducted under the supervision of experts from the National Museum so that the miniature replicas on display are historically accurate. Other than exploring the structures, visitors can walk around a recreated old market town and purchase arts, crafts, souvenirs, locally famed desserts, and other goodies during their trip. he plaza has one of the largest outdoor activity squares with over 8,000 square meters as well as activity zones including a huge 15-screen theater, an ice skating rink, and a kid’s zone. Extraordinary celebrations and displays are held at the plaza throughout the year and especially on holidays such as New Year’s Eve, which visitors should definitely attend if they can. Ko Kret Island, or Go Gred, is a beautiful island in the Chao Phraya River. Three kilometers in length and 3 kilometers wide, the island has seven main villages, with the most popular being the Ban Mon village. Visitors can reach the island on one of the multiple ferries or river taxis and conveniently explore the inner beauty of the island on foot or by renting a bicycle. There’s a pottery village for visitors to relax and have a drink with the locals, enjoying some home-brewed beer while viewing the Mon pottery and surrounding traditional teak houses. It’s a great way to catch some stories about village history directly from the locals. 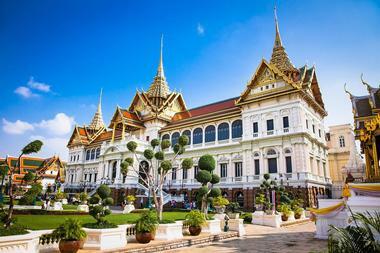 The Vimanmek Mansion, known in Thai as Phra Thinning Wimen Mek, is an obsolete royal villa in the Dusit Palace complex. The palace was constructed in the 1900s and was the first permanent residence in the Dusit Gardens. Visitors can see several styles, ranging from European neo-classical to traditional Thai. 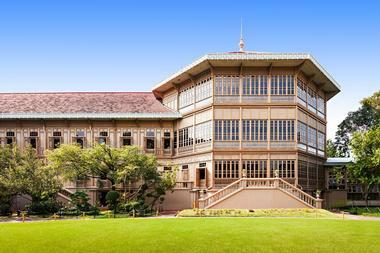 In this, the world’s largest golden teak mansion, visitors will find many unique displays showcasing the national heritage of Thailand and commemorating King Rama V. Visitors will enjoy browsing through the many artifacts that are preserved within the mansion’s walls, especially King Rama V’s personal arts, handicrafts, and photograph collection. 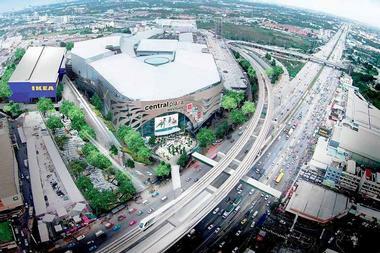 Terminal 21 is located in the heart of Bangkok and has the interesting concept of presenting the street markets of the world under one roof. The structure was completed in 2011 and houses a renowned food court featuring a delicious range of dishes for visitors to try. 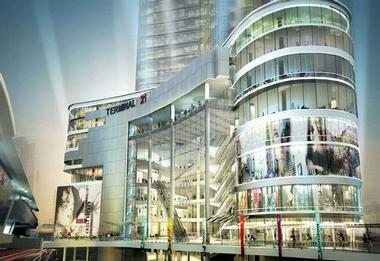 The environment at Terminal 21 gives visitors the experience of shopping in different parts of the world. For example, while one floor might resemble a Caribbean beach town fitted with anchors and lighthouses, another might reflect Rome, with rich marble, sculptures, and Roman mythological figures. There are additional floors that reflect a shopping experience on London’s iconic Oxford Street or at Istanbul’s vivacious markets, filled with exotic jewelry stores, bags, and light fixtures. 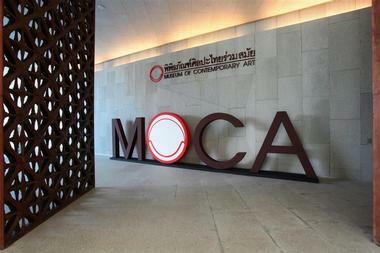 The Museum of Contemporary Art, or MOCA as it’s popularly known, was built in 2012 to allow locals and visitors to view and appreciate contemporary art. MOCA has a vast collection of art in the form of modern paintings and sculptures by artists from all over the world. There are over 800 pieces on display in this well-spaced five-story building, including unique works such as surrealist art by Prateep Khotchabua, hyperrealist sculptures by Paitun Muangsomboon, and the painting concepts of heaven, hell, and earth by Preecha Puna-klum. MOCA also has a few pieces by Chalamchai Kositpipat, who designed the famed White Temple that is popular among locals and tourists alike. One of Thailand’s three major floating markets, Khlong Lat Mayom is a popular tourist attraction that is known as the ‘Venice of the East’. Visitors can get two very different experiences here, depending on when they go. During the weekend, the floating market bustles with crowds of tourists and visiting vendors selling everything on their floating shops, from fresh plants and produce to bouquets and souvenirs. During the weekdays, the experience is much more relaxed and visitors can truly see the surrounding beauty of the river and the lush greenery that frames it. One of the unique aspects of a ride through Khlong Lat Mayom Floating Market is the array of freshly cooked foods you can find, including the delicious pla pao, a Thai-style salted and crusted grilled fish. 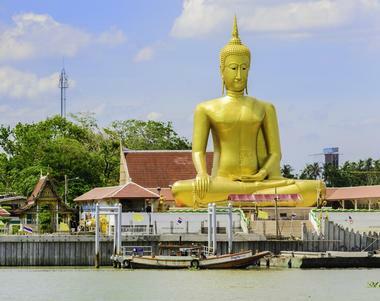 Whether visitors are looking to find some great souvenirs at the floating markets, get an insider look at the many sacred temples, or make some amazing memories at the multiple historic attractions, Bangkok Day Tours has them covered. These specialized guided tours of Bangkok and everything it has to offer can be customized according to how long a visitor is there, from a few hours to even a few weeks. With all the experience the tour company has gained over the years, they guarantee visitors an opportunity to see the hidden treasures of Thailand, some of which visitors won’t find on travel sites, such as an agro-tour of farms in Nakhon Pathom. The Queen Saovabha Memorial Institute is famed for its research on snake venom and vaccinations, as well as its husbandry of venomous snakes. King Rama VI called for the manufacture and distribution of the rabies vaccine in 1912, when Princess Banlusirisarn died from a rabies infection. Today, visitors are mostly attracted to the institute for its popular snake farm. Not only will visitors get to see thousands of snakes, they’ll also learn about the different species of snakes that can be found in Thailand, research on antivenom, and the many steps taken towards protecting these animals. Visitors can attend the snake show and see animators charm cobras, take photos holding one of the many snakes, and much more. 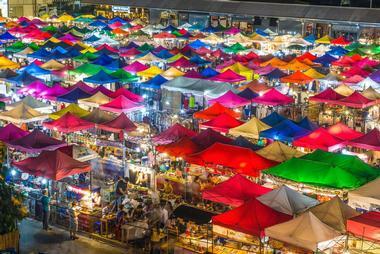 Also known as Talad Nud Rod Fai, the Train Night Market Ratchada is a Bangkok-style flea market that is known for its unique merchandise, great deals, and a variety of street foods. Though it’s smaller than the similar Siam Gypsy Market or Srinakarin Train Market, there are still sections dedicated to bars, food, shopping, and activities. Some good finds include second-hand vintage clothes, antique goods, and nostalgic toys and trinkets. 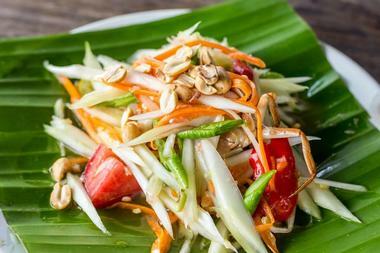 There are many food carts, but some foods shouldn’t be missed, including spicy som tam and noodle jompalang. Visitors can find the pop-up Train Night Market every Thursday through Sunday from 5:00 pm to 1:00 am. Located in the heart of Bangkok, Flow House is a wonderful spot with fun for the entire family . The urban beach club brings the sun, sand, and waves right to the busy city so that visitors can escape the hustle and bustle of Bangkok without ever leaving it. Visitors of all ages will enjoy catching a wave on the FlowRider, a simulated wave machine that is perfect for stand-up surfing and bodyboarding. All the equipment is included and there are even skilled instructors for those who are trying water sports for the first time. Visitors who don’t want to hang out on the FlowRider or the plunge pool can cool down with a beer at the Change Surf Bar, grab a couple of burgers or hotdogs, shop at the flagship store, or play a round of pool, ping-pong, darts, foosball, or golf on the putting green.